VITAGE® ADVANCED ANTIOXIDANT SKINCARE™, the Power of Science and Nature is a superior, high performance antioxidant range conceived and created in the United Kingdom by skin professionals. 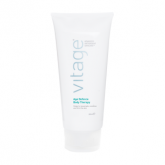 Vitage® suits a wide range of skin types and conditions, making it simple yet versatile. It is an ideal beginners skincare regime or skin maintenance product line as well as being an effective complimentary range to work with professional treatment programmes such as skin peels, microdermabrasion and laser therapies. Key actives include super antioxidant Organic Maté (Brazilian Green Tea), potent Bitter Cherry Vitamin Complex and firming agents from the Argan Tree. 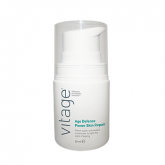 Vitage® is truly “vitamins against ageing”. Infused with botanical extracts and vitamins, this daily body therapy is instantly absorbed yet delivers all day moisture. Botanical antioxidants Brazilian Green Tea, Reishi Mushroom, turmeric and ginger balance and restore whilst Argan Oil and Shea Butter nourish and firm skin helping to rejuvenate and hydrate the whole body. Daily skin defender to help protect against every day environmental stresses that lead to premature skin ageing, containing antioxidant Organic Maté and a potent cocktail of antioxidant vitamins. Ideal for all year round SPF 30 skin protection providing superior UVA and UVB Defence. Awarded by The Anti-ageing Beauty Bible as one of the best daily sun protective creams.